The pull of our world is strong, friends. Just the other night, one of my young boys talked to me about his concerns that he doesn’t know what God wants him to do in the future, or even now. He’s looking for his purpose in life. It’s not the first time he’s mentioned such concerns to me, even at the young age of nine. And to be honest, I’m wasn’t really sure how to answer him other than to suggest that he continue to be faithful in doing all things as “unto the Lord.” But that suggestion failed to satisfy. Looking back, I think his questions were aiming more at finding significance than I initially understood. Although the conversation was frustrating for me as a parent, realizing I lacked the answers he was seeking for his restlessness, and likewise frustrating for him as a child, it reminded me once again of how my parenting is limited by my humanity. Above all, we must teach our children to seek a real and personal relationship with their Creator God. And with our oldest boy halfway through high school already, I’m more and more aware that time with them is fleeting. A parent’s influence only reaches so far, and while they are still under our roof, I want to make the most of this time! Maybe you’re feeling that urgency, too? To get all of the wisdom in during these years that fly by faster and faster as time passes? 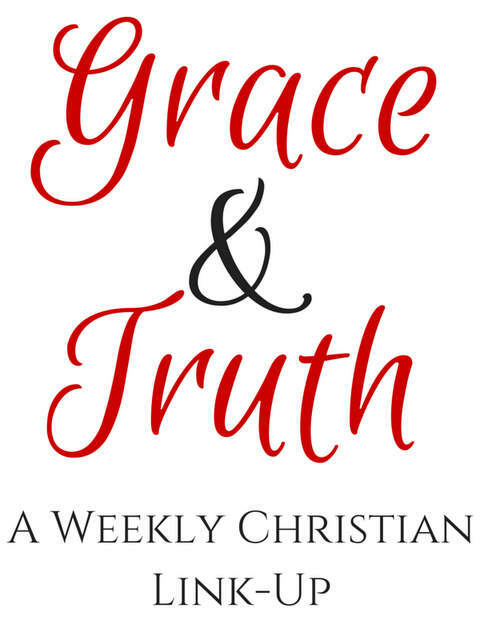 In last week’s Grace and Truth linkup, I read two excellent posts from parents who get it – this need to connect our children to those gospel truths that will last beyond our home and into eternity. Rebekah from Surviving Toddlerhood shared a poignant post relating to the Josh Duggar scandal (not your typical Duggar post at all). I appreciate how Rebekah gets right at the root of raising young men who understand their need for a Savior! 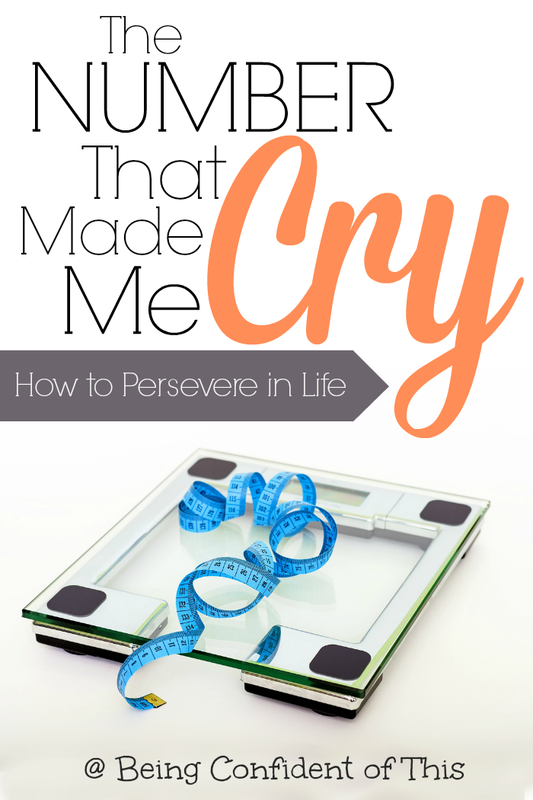 Katie from I Choose Brave shares about the lessons that hard things teach our children. She also gets to the root of the issue, which is the need for Jesus. Thanks ladies for reminding us of our parenting priority – helping our children understand their great need and the solution to that need. Sometimes we can effectively apply parenting advice and other times we just do our best and pray about the rest. Being a loving Christian parent isn’t about attaining perfection, but about faithfullypointing them to Jesus! 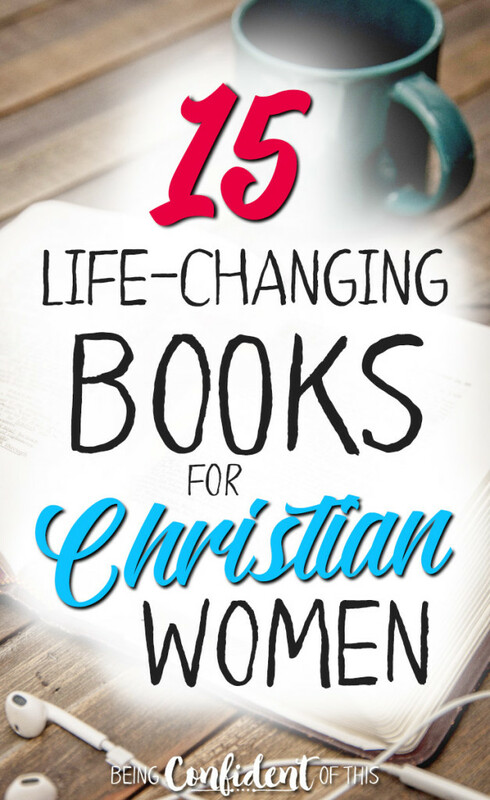 Obviously every good Christian girl would put the Bible at the top of a list of life-changing books. 🙂 The Bible is first and foremost the ultimate resource for life in general, after all! However, sometimes we read a book other than the Bible and understand spiritual truths in a whole new way. Whether a Bible study, a fellow believer’s life story, or a good Christian fiction read, words have power to impact our thinking. These are the type of books I’ve chosen for a list of life-changing books – not just books I like (because I’m a book-lover over here), but books that challenged my faith in a productive way. Each one has changed how I understand and live out my Christian walk. The books listed below have broadened my view of who God is and who I am in Him! Even today, I continue to learn from the core lessons of these books and grow in my spiritual walk. I read through this material when I was still in high school, and for me it was a life-changing book because it helped me plan for the future rather than be afraid of it. During those last few years of high school, students face enormous pressure to make important life decisions. 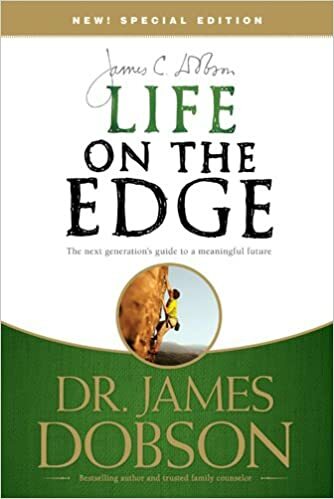 Life on the Edge challenged me to trust God with my future, but it also answered some very practical questions I had at the time. I highly recommend this book for young adults as they begin to face life on their own rather than under the safety of their parents’ wings! The Stranger is another pick from my high school years, but one that I actually still use. Although I grew up in a Christian home with parents who were faithful to teach me about God’s Word, I still didn’t have a solid grasp on the overall themes of the Bible and how the Old Testament connected to the New Testament (and why that’s important!). 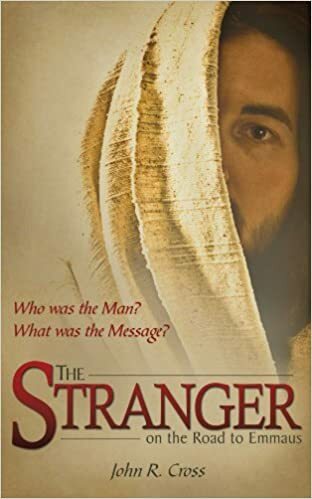 Reading through The Stranger, which focuses on the overarching themes of the Bible from creation to Christ, gave me a very clear picture of God’s love for and plan for mankind from the very beginning! It’s my first choice whenever I disciple others because it organizes God’s Word and His story in a way that lays a very solid biblical foundation. The Stranger will speak to unbelievers as well as those who have believed for many years! Every book lover surely includes some excellent fiction writing on a list of life-changing books! 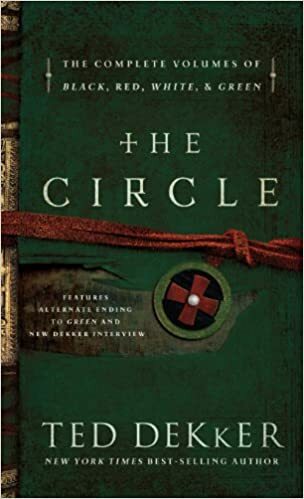 As a lifelong book-lover, I’ve read an abundance of classic, secular, and Christian fiction, and one of my favorite authors of all is Ted Dekker. Each one of his riveting tales teaches readers a lesson about faith. But this series in particular stands out above the others. And for the youth in your life, The Lost Books Series is a thrilling companion to the Circle Series! 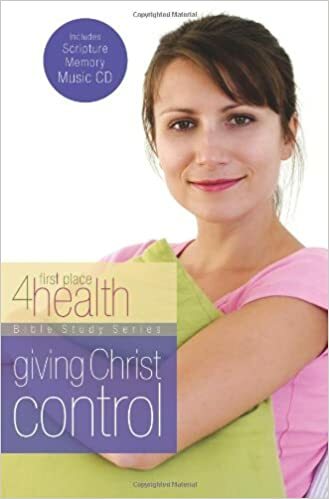 This life-changing book and subsequent series of devotionals helped me to see how letting food control my life is really a sin issue. I also learned how to change the way I ate by learning to read nutritional information, cooking with better ingredients, etc. First Place convicted me of sin issues like failing to take care of my body, which is the temple of the Spirit. But what I like most about this particular series is the focus on putting Christ first. Being healthy physically is important, but being healthy spiritually is more important! 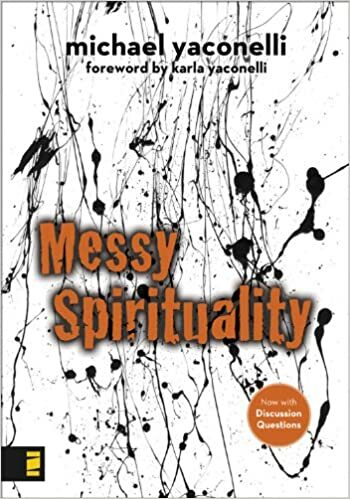 Although I don’t agree with everything this author claims, I can whole-heartedly recommend this bible study. 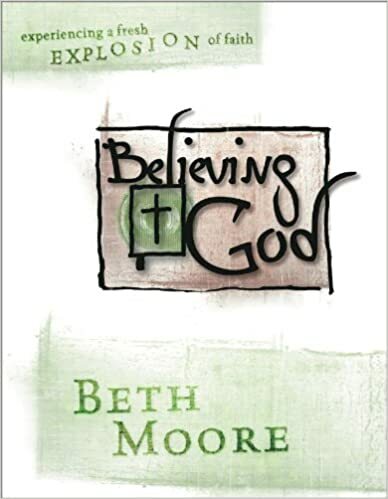 I actually read the workbook version of Believing God and really enjoyed the depth of bible study and Hebrew/Greek word study. 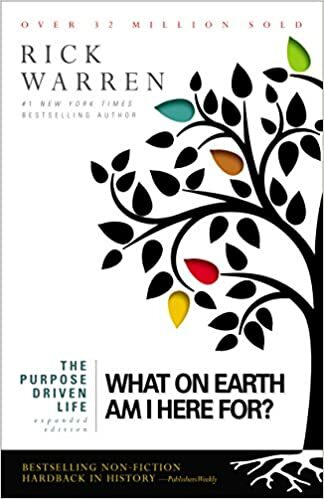 I call this book life-changing because it helped me realize that although I claimed to believe God and believe His character is true, I often failed to live that out. I wasn’t thinking and acting on my so-called belief. Instead I worried and mistrusted and misunderstood the hard things in life. 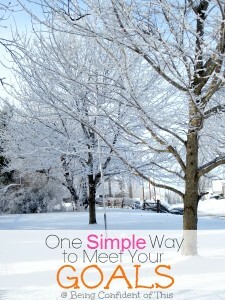 This lovely devotional made for easy reading yet contained surprising depth. 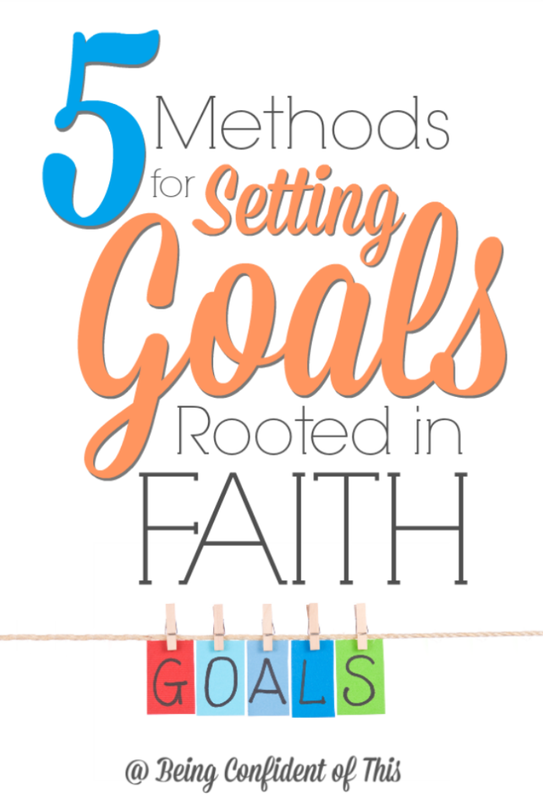 Author Arabah Joy utilizes modern day parables to teach valuable lessons about trusting God. She has a way of getting to the heart of the issue that leads to lots of light-bulb moments! Especially now, when Creationism is under constant attack, understanding the real scientific evidence for why we believe what we believe is key. For that reason, The Case for a Creator is life-changing because it defines our very beginnings here on this beautiful planet. 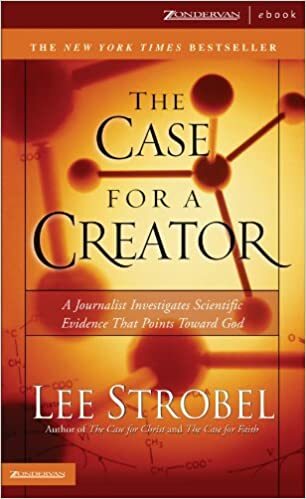 Written by a former atheist, The Case for a Creator takes the reader through a study of creation from the perspective of physics, biology, chemistry, astronomy, and so forth. 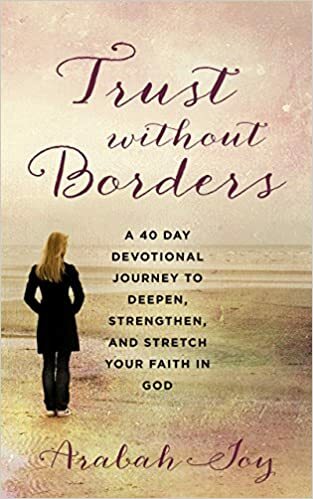 One of the things I love most about this book is that when readers start to grasp the significance of why our Earth is positioned the way it is, and so forth, they can’t help but be awestruck by our Mighty God. If you are an analytical thinker who loves facts and data, then this book is for you! 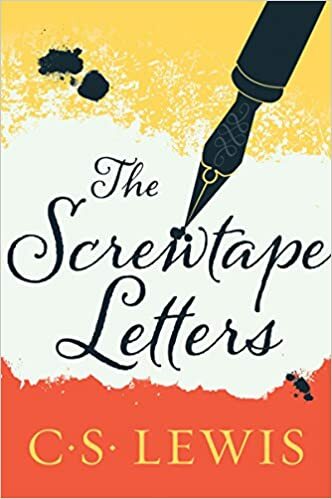 My second fiction pick, The Screwtape Letters, is a life-changing book because it opens our eyes to the very real spiritual warfare going on all around us. I don’t think I ever realized before how sneaky our enemy is, especially in using good things to distract us from the best thing, our relationship with Christ. I’m not sure I actually agree with all that this author had to say, either. 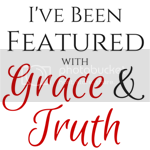 He also broadened my view of grace, took it out of my nice neat little box and made it, well…messy. I never thought of myself as a self-righteous person before starting this book, but it was the catalyst for seeing my own sin in this area. I’d say that qualifies as a life-changing book! Here’s another book whose author I don’t always agree with, especially in regards to some of his statements in more recent years. Nevertheless, The Purpose Driven Life had a profound impact on my understanding of my purpose in Christ. You see, as a perfectionist, I was one of those good Christian girls who relied much more on performance than on grace without even realizing it. Yet in my heart, I truly wanted to serve the Lord. I just didn’t realize that worshiping and serving the Lord doesn’t always involve big things or ministries! Sometimes serving the Lord is as simple as taking care of my family by washing the dishes or cooking a meal. That might sound silly, but realizing that I could do even those very small acts of obedience in service to the Lord gave me a satisfaction in life that I previously lacked. I like to call this the book that was never meant to be (at least in my limited human thinking – ha!). 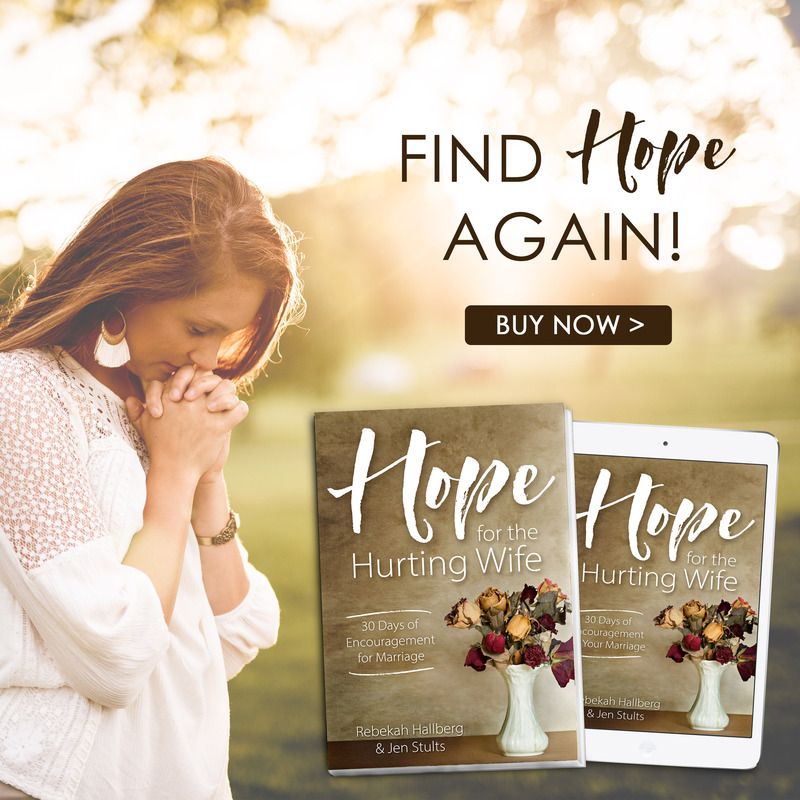 Hope for the Hurting Wife was born out of a desire to serve readers here at Being Confident of This who found their way to this blog by googling the word “unloved.” My co-author Rebekah Hallberg and I decided to join forces to create a helpful resource for women who are living through some of the difficult marriage circumstances that we ourselves have walked through. 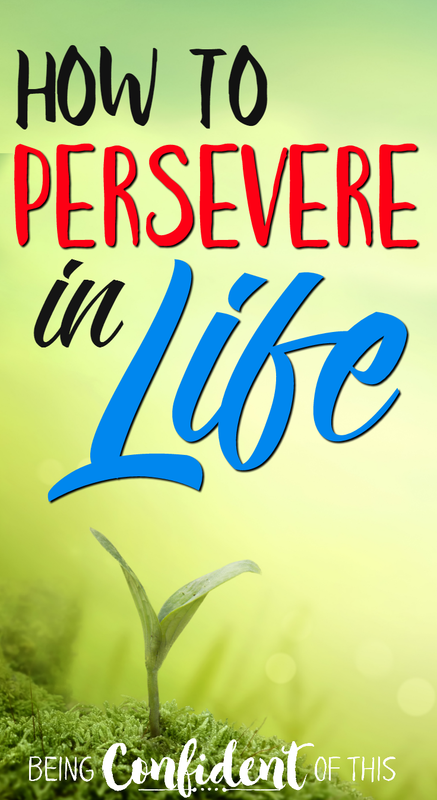 It started out as a short, free ebook devotional, but readers soon asked for a print version. 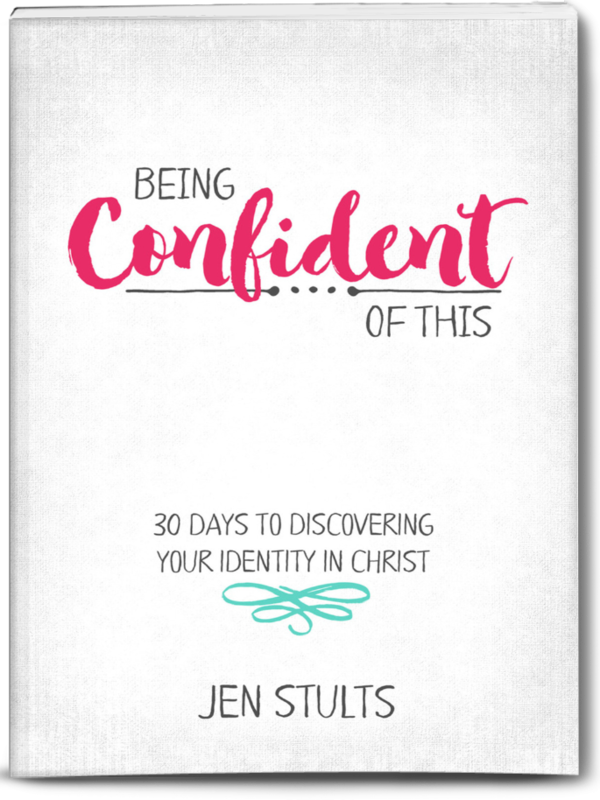 So by faith, we created this 30-day devotional to encourage women looking for hope in the midst of a difficult marriage. This was the book we never set out to write, the one neither one of us really wanted to write (because being vulnerable is hard work! ), but God opened doors we never even imagined. In fact, Hope for the Hurting Wife earned the Amazon bestseller badge in multiple categories! God at the Controls, God Planted Five Seeds, Peace Child, Through Gates of Splendor and others I can’t remember the titles of are also on my list of life-changing books. As a child of overseas missionaries, these books helped me understand the great need for the Gospel to reach so many unreached nations. They also helped me witness the power of God to use difficult life circumstances, even death, in the lives of His people to impact whole tribes and communities – talk about life-changing books! If you don’t want to be challenged to live “on mission” for the Lord, then these books aren’t for you. But if you desire to serve God whole-heartedly, you’ll find much encouragement and motivation by reading these biographies. There is nothing like hearing the story of a fellow believer’s faithfulness to challenge and boost our own faith! I hope you find at least a few that you haven’t yet read from my favorite life-changing books. 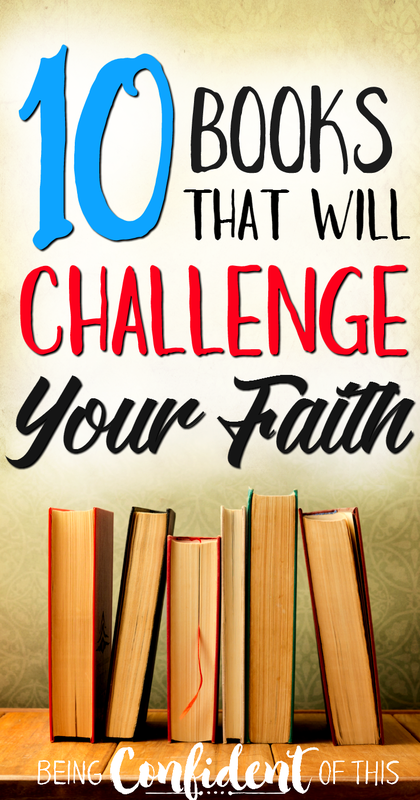 Try out some new ones from the list and see how your faith is challenged. And as with all things you read or hear, please check them against the truth of the Word! We’ve all heard the verse before, the one that tells us “…whatever you do, do it as unto the Lord” (1 Cor. 10:31), but do we really have that mindset day by day? Are we intentionally choosing an attitude of serving the Lord in the midst of both the important moments and the incredibly mundane? I so often fail to remember that even my most despised house chores are opportunities to worship the one true God and to practice thankfulness for the many blessings He has bestowed. In fact, if you were at my house, you might find me grumbling about all that needs to be done, about how the four kiddos in the house leave their mess out for me to pick up, how my husband leaves his shoes for me to trip over, how the laundry never, ever, ever gets all the way done. You may be laughing, but I’m not kidding – these are the complaints that at least register in my head even if I don’t always verbalize them (unfortunately, plenty of them do get verbalized). That’s just the honest, messy truth about me. I can be a critical complainer. But it ought not be so, friends. I’m feeling more than a little convicted about this tendency to downplay the gift of life. Every moment is a gift, even the ones that try us to the core of our beings. I’m learning this difficult lesson – to give praise in the everyday and even in the painful moments, too. Because I want to leave a legacy of putting God first in all things, not just in ministry or in writing, but in ordinary moments of parenting, and housekeeping, and marriage, and friendship, and… the list goes on. Don’t you want it, too? The kind of legacy that leads others toward Christ rather than away from Him? The legacy that brings glory to a Father who deserves infinitely more glory than we can bring in a lifetime? Lori of Searching for Moments reminds us of how easily we can get distracted from our legacies by busyness in our lives. She reminds us of how mundane moments can add up to something extraordinary in the life of another. Stop by and give it a read – it’s worth the time! Yes, we can leave a legacy of faith even while tackling that dreaded laundry mountain! I’m not advocating a return to perfectionism, no sir. I’m advocating a graceful approach to a spirit of worship in all that we do. Let’s live out our faith even in the small moments. Being steadfast isn’t easy in an ever-changing world, one where we “debate” over dead baby parts and watch children lose their heads for the sake of Christ. A world where twin towers haunt our memories, teaching us that even in Amercia, we are not untouchable. Our world is full of sin and evil, and not just the kind that lives halfway around the world, but the kind that touches you and me everyday. I’m talking about the kind of evil that destroys countries and churches and marriages and children and people….so many people. It’s enough to make a woman heart-weary and numb. When we face such trying situations, whether personal or not, what will our response be? Will we stand firm in the Lord? Or will our feelings overrun us? Ifeoma from Purposeful and Meaningful shared some lovely words and scriptures on this topic last week. Be sure to stop by and be encouraged! Don’t be moved, friends. Now more than ever, we need those beacons of light to pierce the encroaching darkness. We need steadfast hands and steady hearts to bring a balm of comfort and peace to a broken and hope-hungry world. Don’t be moved, my sisters in Christ. Every once in a while our eyes are opened in a powerful way to the lost of this world. Maybe your eyes are opened through news of a tragic natural event taking the lives of many, or maybe it’s a single boy washed up on the shore of a distant land, lifeless. They are all around us, you know, those who may not even know who Jesus is and those who do know of Him but remain separated from Him. When did we forget the power of the gospel? So often we wake up in the mornings, get busy with our days, work hard until evening, and fall into bed exhausted, never once thinking of those who are waiting for Good News and the freedom that follows. I know because many days that’s me – too caught up in this world to focus on that beyond. That ought not be, friends, not when it comes to spreading the Gospel. We cannot sit back and wait for the perfect opportunities, or for a miraculous sign from the Lord, or for encouragement from others, or for whatever “it” is that we’ve been waiting for. What kind of faith do we have if we are waiting for the perfect combination to guarantee our success? I want a faith that is fierce, a faith that forges ahead even when discouragement strikes, a faith that leads to victory in His Name. Who will choose boldness with me? Let’s quit leaving the Gospel-sharing job to pastors and missionaries and husbands and all of the other someone elses in the world. Instead, let’s love others enough to put our own pride at risk and share a little truth with someone in need. Maybe you’re thinking, but I’m not naturally an out-going person and I’m certainly no evangelist. Here’s the thing, we’re all commanded to go and make disciples – not just those who are naturally out-going or who find it easy to share. Hard truth? Yes, I know! In fact, often throughout the Bible we’re commanded to sacrifice, to do things that lead us straight out of our comfort zones because we serve a big God and He wants us to learn to rely fully on Him. So because I know how nerve-wracking it can be, I’d love to share with you a cool new tool I recently learned about. It’s called the Life Conversations Guide App (from the North American Mission Board) and is available for both android and apple devices. There is even a Spanish version! It’s like a gospel tract right on your phone. You’ll always have it with you! Even more, the fact that it utilizes technology instantly generates more curiosity, especially among younger generations. The best part is that once you download and use it yourself, you can also encourage those you share it with to download it themselves. Why? They can go over the talking points again on their own, and they can even watch a video version that explains the Gospel. And here are 20 more ways to share the gospel, just in case. Ok, now you and I both have no excuses!